Our Open Studios 2019 will take place on 14, 15 and 16 March! 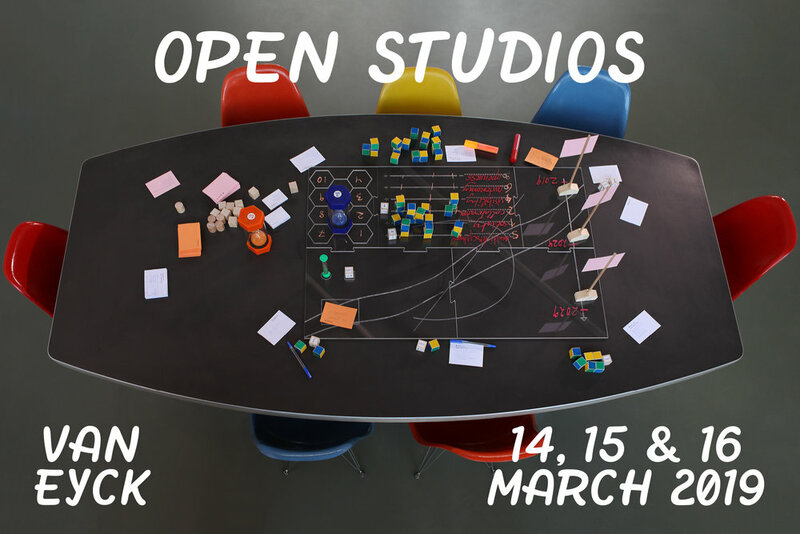 During Open Studios all doors in the Jan van Eyck Academie will be open again. An international group of some 45 participating artists, designers, curators and writers will show what they have been working on the past year, in their studios, the exhibition spaces, Labs and other locations throughout and beyond the academy building. The works on show, the experiments, research and collaborative projects will give an insight into their work process and testify to the possibilities of the academy. The preview days are on invite only. If you're an art professional and you haven't received an invite and you do wish to visit the Open Studios during the preview days, please send your request to: register@janvaneyck.nl. More information on the programme will follow soon!